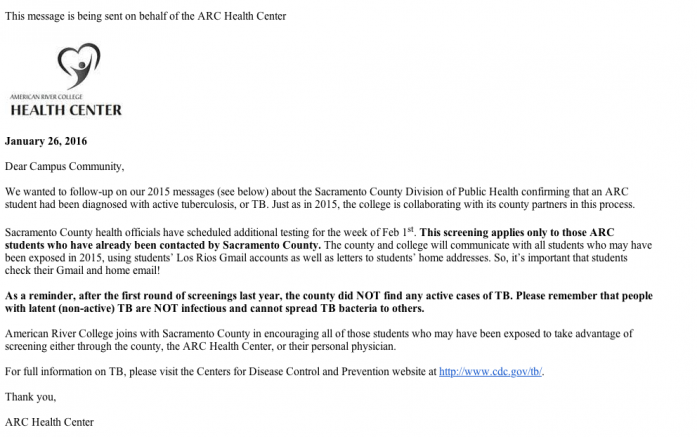 Additional screenings for students that may have been exposed to tuberculosis in November are scheduled for the week of Feb. 1, according to an email from the American River College Health Center. The screenings are in coordination with the Sacramento County Division of Public Health, which scheduled the screenings. Only ARC students who may have been exposed received an email and letters to a student’s home address from the county that details the dates, times, and locations of the additional screenings. “This is follow-up testing for those that haven’t been tested yet,” said ARC Health Services Assistant Ryan Nix. 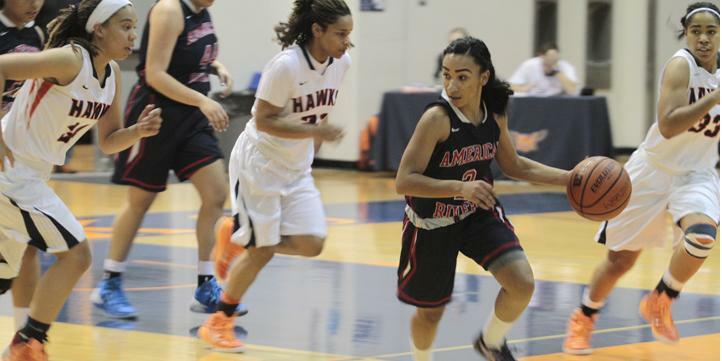 The first set of screenings took place on Dec. 1, 2015, after ARC had been confirmed to have a student with an active case of tuberculosis in November. The student was isolated and in care by the time the original notification was sent out from the school on Nov. 18, 2015. No one was found to have an active case following the Dec. 1 screenings. The Health Center at ARC offers Tuberculosis screening available every week on Monday and Tuesday available to all students. Students must fill out paperwork in the Health Center and are asked to check in after 48 hours for results. The cost is $5 and students pay the fee at the Business Office and show the receipt to the Health Center assistant. Be the first to comment on "Additional screenings for tuberculosis to take place next week"